As you can see in Table 11.1, “Name Confusions,” the mistakes were such that the statements that had actually been made by a man were more frequently wrongly attributed to another man in the group than to another woman, and the statements actually made by a woman were more frequently attributed to other women in the group than to a man. The participants evidently categorized the speakers by their gender, leading them to make more within-gender than across-gender confusions. The conclusion is simple, if perhaps obvious: Social categorization is occurring all around us all the time. Indeed, social categorization occurs so quickly that people may have difficulty not thinking about others in terms of their group memberships (see Figure 11.4). One problem is that social categorization distorts our perceptions such that we tend to exaggerate the differences between people from different social groups while at the same time perceiving members of groups (and particularly outgroups) as more similar to each other than they actually are. This overgeneralization makes it more likely that we will think about and treat all members of a group the same way. 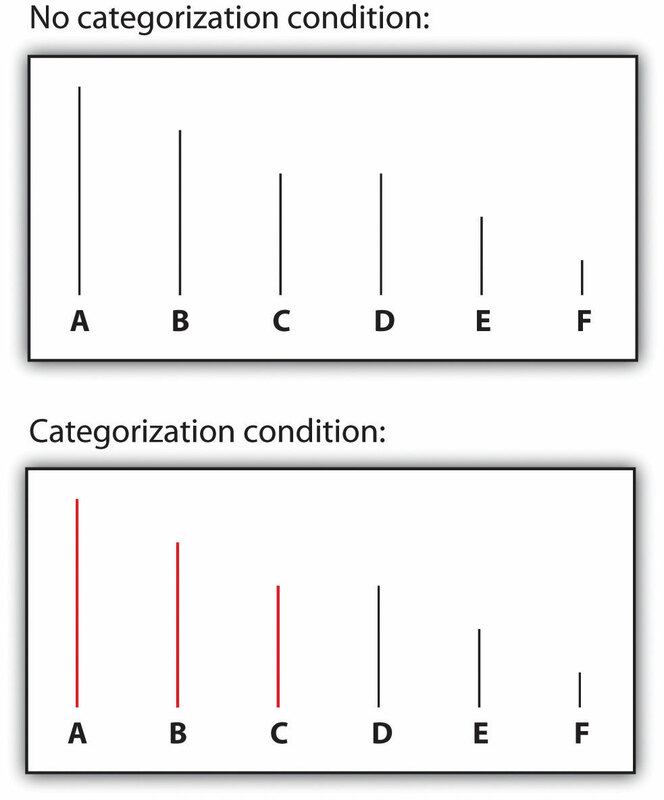 Tajfel and Wilkes (1963) performed a simple experiment that provided a picture of the potential outcomes of categorization. As you can see in Figure 11.5, “Perceptual Accentuation,” the experiment involved having research participants judge the length of six lines. In one of the experimental conditions, participants simply saw six lines, whereas in the other condition, the lines were systematically categorized into two groups—one comprising the three shorter lines and one comprising the three longer lines. Once we begin to see the members of outgroups as more similar to each other than they actually are, it then becomes very easy to apply our stereotypes to the members of the groups without having to consider whether the characteristic is actually true of the particular individual. If men think that women are all alike, then they may also think that they all have the same positive and negative characteristics (e.g., they’re nurturing, emotional). And women may have similarly simplified beliefs about men (e.g., they’re strong, unwilling to commit). The outcome is that the stereotypes become linked to the group itself in a set of mental representations (Figure 11.6). The stereotypes are “pictures in our heads” of the social groups (Lippman, 1922). These beliefs just seem right and natural, even though they are frequently distorted overgeneralizations (Hirschfeld, 1996; Yzerbyt, Schadron, Leyens, & Rocher, 1994). Figure 11.6 Stereotypes. 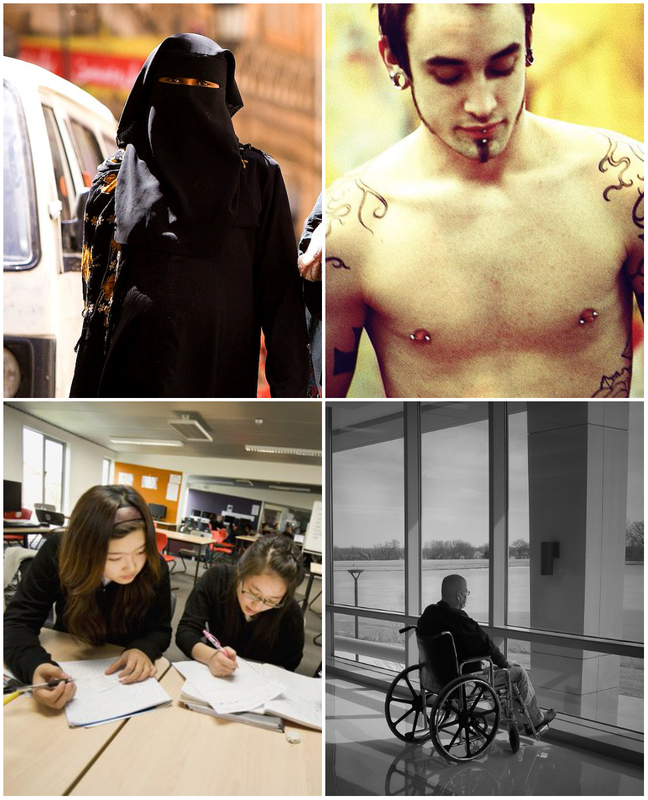 Stereotypes are the beliefs associated with social categories. 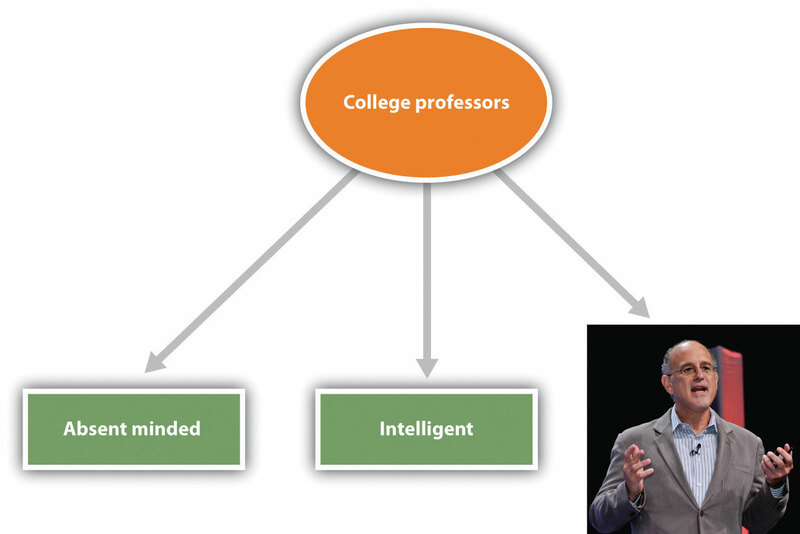 The figure shows links between the social category of college professors and its stereotypes as a type of neural network or schema. 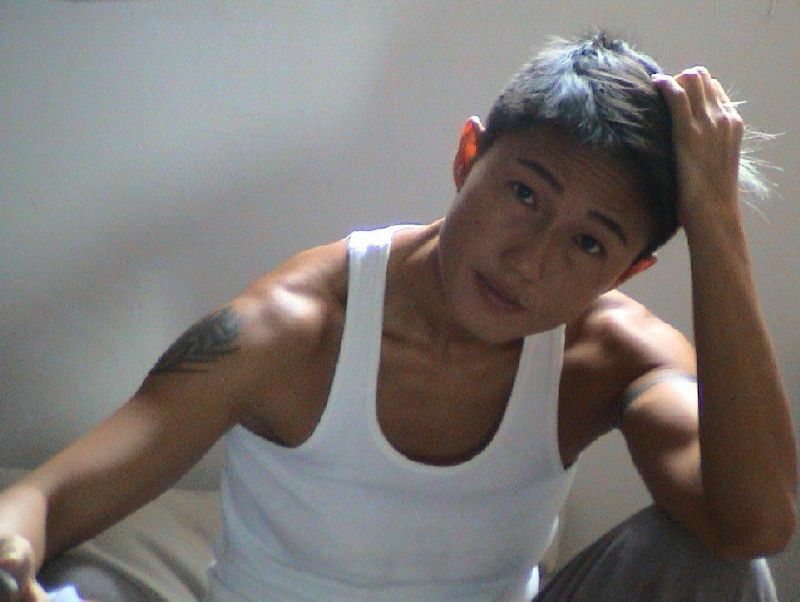 The representation also includes one image (or exemplar) of a particular college professor whom the student knows. Image courtesy of Dan Gilbert. Our stereotypes and prejudices are learned through many different processes. This multiplicity of causes is unfortunate because it makes stereotypes and prejudices even more likely to form and harder to change. For one, we learn our stereotypes in part through our communications with parents and peers (Aboud & Doyle, 1996) and from the behaviors we see portrayed in the media (Brown, 1995). Even five-year-old children have learned cultural norms about the appropriate activities and behaviors for boys and girls and also have developed stereotypes about age, race, and physical attractiveness (Bigler & Liben, 2006). And there is often good agreement about the stereotypes of social categories among the individuals within a given culture. In one study assessing stereotypes, Stephanie Madon and her colleagues (Madon et al., 2001) presented U.S. college students with a list of 84 trait terms and asked them to indicate for which groups each trait seemed appropriate (Figure 11.7, “Current Stereotypes Held by College Students”). The participants tended to agree about what traits were true of which groups, and this was true even for groups of which the respondents were likely to never have met a single member (Arabs and Russians). Even today, there is good agreement about the stereotypes of members of many social groups, including men and women and a variety of ethnic groups. Figure 11.7 Current Stereotypes Held by College Students, from Madon et al. (2001). Look again at the pictures in Figure 11.3, and consider your thoughts and feelings about each person. What are your stereotypes and prejudices about them? Do you think your stereotypes are accurate?